Well, I just got into San Francisco where I will be attending the Adobe Android Summit, the culmination of the company’s work to bring their Flash platform to mobile devices. Try as hard as he may, tomorrow morning will prove that Steve Jobs wasn’t single handedly able to kill off the service that has become engrained in the world of internet video, games, and interactive websites when he refused to allow it on his precious iPhone. That was when Adobe forged ahead, forming a partnership with Google that will not only see Android as the first platform to support full Flash 10.1 on a mobile device, but also led to involvement in their next big project — Google TV. If you are one of the lucky to have Froyo and already get a chance to play around with the beta of Flash 10.1, you will probably agree that the service translates quite well to the mobile world. Sure, much of the Flash content we experience isn’t quite optimized for mobile, but it opens up a whole new world of possibilities. Sorry Steve, we just can’t agree with you on this one. 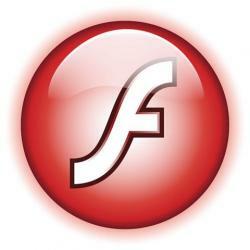 Maybe Flash carries some inherent flaws, but I’d sure rather at least have the option to use it rather than not at all. Flash for Android comes out of beta August 18th, but don’t think Adobe doesn’t have much more in store when it comes to teaming up with Google and moving into the mobile space. Tomorrow will present an excellent opportunity to speak one-on-one with some of the movers and shakers behind Adobe’s mobile work, so we want to hear from you. What burning questions do you have about the past, present, and future of Flash 10.1 for mobile? What about Adobe’s work with Google TV? Sound off in the comments below with all of your questions, thoughts, concerns, rants, and ramblings, and I will be sure to peruse your responses carefully and then proceed to pick the brains of the Adobe crew, reporting back with all that I learn.